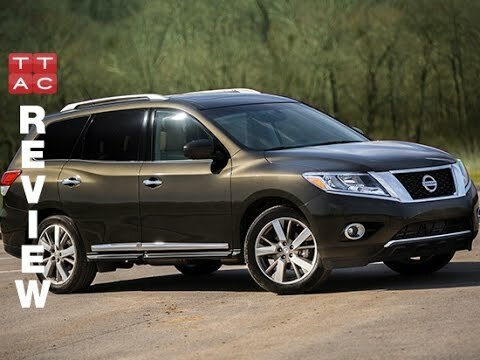 Nissan's 2015 Pathfinder SUV is one of the sleekest, most refined and fuel-efficient 3-row crossover SUVs around. As if delivering excellent driving dynamics, a comfortable ride and a roomy interior isn't good enough, Nissan also offers some of the best fuel-economy figures in the midsize-crossover-SUV class. The features of a Nissan Pathfinder. The car I drive is a Nissan Pathfinder. It is a 7 passenger SUV. It has 3 rows with the last row being able to fold down when not in use. When folded down truck space is huge while with all the rows up, the space is a decent size. It will fit a baby stroller as well as space for more. The only drawback is that I wish there were captain seats as it will be more convenient to go in and out of the third row. So far there are no major problems with the car. It is pretty comfortable and the drive is mostly smooth with the occasional shakiness when driven on certain type of road. My car is the s model (the basic model) which did not come with a back up camera which I think is a must for an SUV this size. Overall after I installed an aftermarket backup camera I am pretty happy with it and gives me much more of a peace of mind when driving. I would recommend this car but go with a model up (sv) at least so you will get backup camera, power seats, mirror lights, etc. already included. It's a great option for a family car with lots of space if you are not quite ready to drive a van! Great car and features. Just be careful of the transmission. I had an initial problem with the transmission. It blew about a week after I purchased the vehicle. Luckily, it was backed by warranty. Since then the car drives great. It is a v6 so it has a very nice start and pick up speed. The mileage is great if you do not use the ac or heat. It is a comfortable fit for my family of 6 with the 3rd row seating. The 3rd row also offers heating and ac. I also love the push to start and the door sensors so I can keep my keys in my pocket. Also I love the remote start. It's very spacey on the inside. With 3 rows, there is more than enough space for a family of 5 or 6. My truck has a red exterior and grey interior. Cloth seats, and dark grey carpet. It has a third row which is nice because I have 3 kids, so it's never crammed back there. Of course, with the third row up, the trunk is on the small/average side. It's not the best on gas, but I hate riding down low in regular passenger cars so I will always have an SUV. It's reliable, drives very nice on the highway (we take road trips often), and has dual temperature zones. 2015 Nissan Pathfinder 4x4 DETAILED Review and Road Test - In 4K!